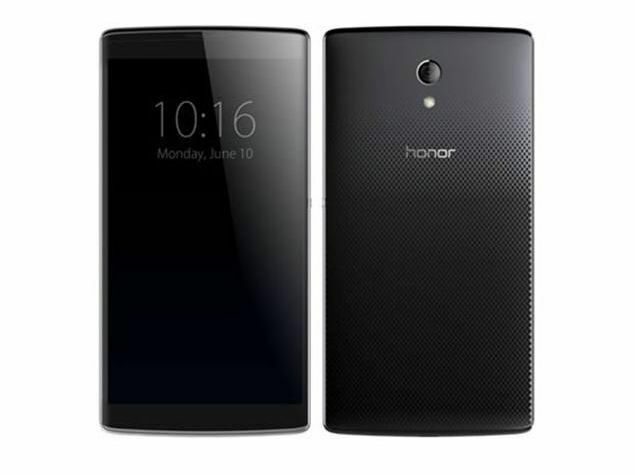 Huawei officially announced the Honor 6 smartphone yesterday, sporting a 1080p display and an octa-core chipset. The phone is very thin at 6.5mm and weighing at just 135gms, the phone is light enough to be held and used comfortably. Honour 6 is powered by Huwaei’s homemade Kirin 920 chipset which, according the Huawei is equivalent to Samsung’s Exynos Octa-core chipset as it also uses ARM’s architecture with 4 Cortex A7 chips and 4 Cortex A15 chips. The smartphone makes a dash ahead of Qualcomm’s Snapdragon 805 chip in Antutu benchmarks. It also packs a Mali-T624 graphics and LTE Cat 6 support capable of 300 Mbps download speeds. The phone runs on Android 4.4.2 KitKat with their custom-made Emotion UI 2.3 on top of it. The phone has 3GB of RAM, which is pretty impressive and comes with 16GB and 32GB internal storage options, but even though if you run out of storage, both the variants can be expanded upto 64 via microSD card. Huawei also showed off their new aluminum alloy structure which lets the phone run cooler than its predecessors (which generallyused to have heating issues) and other smartphone by 4-6 degrees. 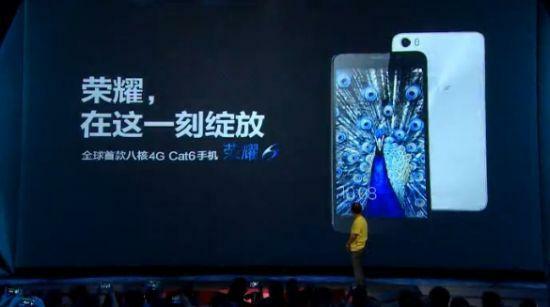 They even claim that Honor 6 use battery more efficiently than Samsung Galaxy S5 and Apple iPhone 5S. The Huawei Honor 6 has a 13MP with Sony IMX 214 sensor at f/2.0 aperture, along with dual LED flash and also sports a front-facing 5 MP camera. The company has not announced any release date or pricing yet on the device.